The holidays can be exciting. But what about when they’re not? For many people, the holidays can be stressful and offer more to dread than look forward to. Mothers suffering from a mood disorder can feel an added amount of pressure to make things special when they really don’t feel up to it and anxiety can worsen with all of the extra socializing. And anyone who has lost a loved one may miss them more than usual around the holidays. Between the cold weather, long stretches of darkness and the financial strain of the holidays, it’s no wonder that up to 20% of people report suffering from Seasonal Affective Disorder. If someone you love is feeling down around the holidays, then consider one of these gifts from Etsy that are sure to boost anyone’s mood. Warm, soft lighting is a great mood booster. One thing that often makes us feel down during the winter is the lack of sunshine. Anything that simulates natural light will help to boost our mood naturally. This lamp from NewMoonBeginnings is made from raw, natural Selenite, which is a crystal used for cleansing negative energy. A lamp made from Himalayan Rock Salt is another great option. It diffuses the light and also has cleansing abilities. This one from SaltBay is a beautiful pyramid shape, however you can also get them in more natural designs. A lettered light box is a fun gift that’s right on trend. Not only does it provide an additional light source for those dark winter days, but it comes with the ability to customize a message each day. This one from mixcrafts comes with 85 characters and can be plugged in or battery operated. Quotes and sayings that inspire us have a way of boosting our mood, both directly and subconsciously. Being surrounded by inspirational messages, whether it’s a framed print in our designated self care sanctuary, or worn on clothing and accessories, is a great way to remind someone of how strong they really are. RaincityPrints does some beautiful work on famous inspirational quotes including everything from Buddha to the Gilmore Girls. You can have it professionally printed in different sizes, or get it in a digital file and print it yourself (a great last-minute gift idea)! These gorgeous minimal cuff bracelets from JessieGirlJewelry have a secret hidden message engraved on the inside of them. Not only will you look stylish, but you’ll have a little mood boost with you wherever you go. Believe it or not, these are temporary tattoos! This collection from TattooMoments includes 14 tattoos that can last up to 7 days. This is a great way to show off a motivational message without the commitment of a permanent tattoo. 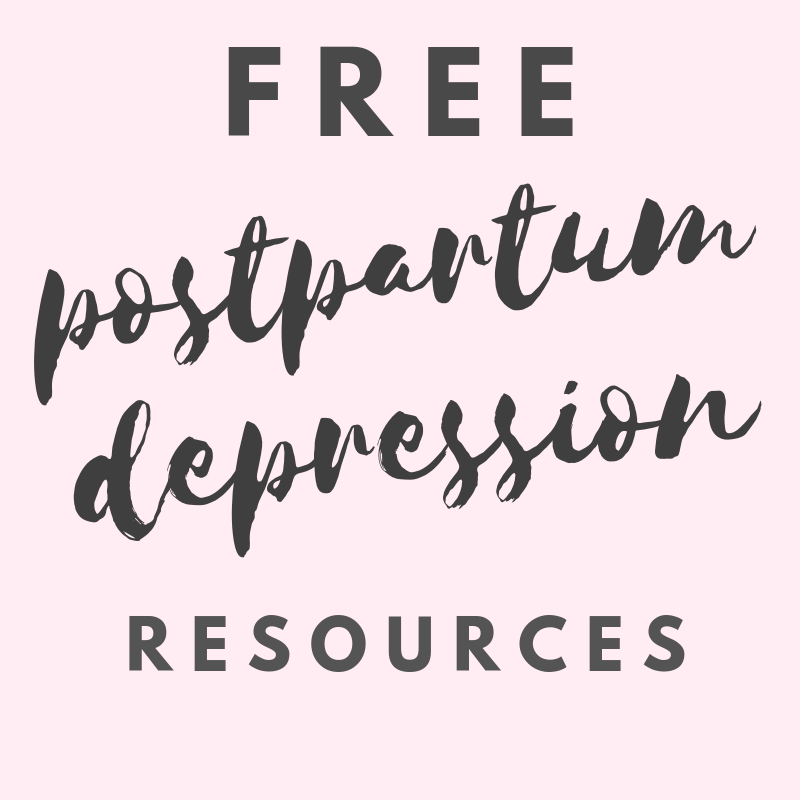 Download these 4 FREE 8 x 10 Inspirational Prints in the Running in Triangles Free Resource Library, available exclusively to subscribers of the Postpartum Depression Survival Guide. Click here to subscribe. Perhaps it’s our natural instinct to want to hibernate come cold weather, but nothing makes us feel happier than being warm and cozy. Comfort gifts are a great mood booster, not only because they make us feel good, but also because receiving one is like getting permission to be lazy all day. If you’re gonna give a blanket as a gift this year, then you have to go with a weighted blanket. There are so many benefits of a weighted blanket for someone suffering from depression, anxiety or insomnia. Even those without a mental health condition will still benefit from the comfort of a weighted blanket. It’s like being wrapped in a giant hug. This one from LittleMimis comes in different weights, colors and patterns and can even be custom embroidered. These socks are a great way of telling your loved one to put their feet up and relax. Don’t worry if they’re not a wine drinker because WineALittleGifts sells over 100 different designs, so you’re sure to find the right pair! Sleep deprivation can have a negative effect on a person’s mood. Help your loved one get better night’s sleep with this sleep mask set from LaAquarelle. It comes in a choice of organic fabrics and includes a lavender satchet you can put under your pillow to help you sleep. Meditation and mindfulness are great ways to improve your mood. Even for a beginner, the practice of meditation can be easily incorporated into anyone’s self-care routine. While actual “tools” aren’t a necessity for meditation, there are several gift ideas that can help to enhance the experience. Aromatherapy is an excellent mood booster and supplement to meditation. There are so many options available but this necklace diffuser set from SenseSationCanada makes a perfect gift. The necklace features the popular “Tree of Life” design and comes with interchangeable colored pads, as well as six different essential oil blends. Tibetan singing bowls have been used in meditation for thousands of years. The tone they produce is designed to help relax the mind and body and drown out background noise to aid in focus and concentration. This copper bowl from mixcrafts is not only a stunning art piece, but useful for meditation and relaxation as well. Indoor plants have so many incredible mood boosting benefits. Being surrounded by lush greenery indoors while everything lays dead and dormant outdoors is one way to keep spirits up during the winter. Choose a low maintenance option, such as this set of 12 air plants from AURAMORE. Air plants are a great way to incorporate greenery without needing to worry about pots and soil. Instead, you can put them inside one of these glass terrariums from GlimpseGlass for a beautiful combination. Being bored and cooped up inside the house during winter will put anyone in a bad mood. For the holidays this year, consider giving the gift of creativity. If your loved one already has a hobby, then you’re off to a good start. But here are a few suggestions if they’re looking for something new to keep their mind distracted and to help lift their mood. The art of calligraphy is so modern and popular right now. It’s also an art form that isn’t time-consuming, tedious or strenuous and offers a lot of different applications. With this beginner’s set from KirstenBurkeDesign, anyone can learn this fantastic skill, all while keeping busy to beat the winter blues. Coloring offers a simple way to turn off the brain and soothe the mind. The array of colors can also work as a mood booster on the dark, grey days of December. This coloring planner from Legacy4LifePlanners not only offers the benefits of coloring, but also provides a place to jot down notes, goals, passwords and make resolutions for the new year. There are so many different ways to encourage creativity. Crafting of any kind can make a person feel proud and accomplished, but it’s also a way to ban boredom during the winter months. On Etsy, you’ll be able to find so many different DIY crafting kits, such as this weaving wall hanging kit from HawthornHandmade. Some other popular favorites include a macrame kit, a beaded embroidery kit and paint by number sets. If you didn’t see something specific on this list that appealed to you, or if you just couldn’t decide, then consider giving an Etsy gift card instead. It can be printed or emailed to the recipient so it makes a great last-minute gift. And with thousands upon thousands of different things to choose from, it’s a gift that will definitely put a smile on someone’s face. I know, firsthand, how difficult winter can be – no matter how much you love the holidays. The extreme high of celebrating with family and friends ends so abruptly, that it’s common for people to feel depressed shortly after the holidays are over. By giving a gift specifically to help boost their mood, you’re encouraging long-term happiness.